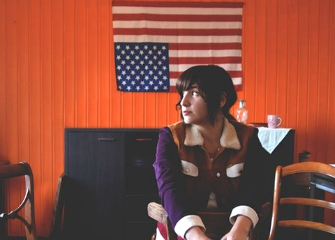 For her fourth album in five years, Catalonian star Joana Serrat travelled from her home in Vic near Barcelona to the Texas Hill Country outside Austin. There she teamed up with Israel Nash at his Plum Creek Sound studio near the town of Dripping Springs. Making reverb-washed folk pop, Brighton-bound Joana was recently compared by MOJO to sounding like "Mazzy Star guesting on an early Neil Young demo." For the recording sessions Nash & Serrat corralled a stellar crew of musicians: Joey & Aaron McLellan, (Midlake, BNQT, Elle King, John Grant, Israel Nash), Eric Swanson & Josh Fleischmann (Israel Nash), Dave Simonett (Trampled By Turtles) and Dennis Love (Futurebirds), as well as Nash himself providing additional guitar and backing vocals. Ahead of her gig at The Haunt, in Brighton, Joana has shared her new video for Unnamed. Filmed in Spain's Sierra del Segura, it was directed by José Hortelano. "I love the environment and the dynamics of production, the sound grows and widens and draws a great horizon and landscape for the listener. "The lyrics talk of resurgence in a dark world, of redemption, of how the feeling of loneliness is capable of drowning you and of the need to flee, to escape from those deep nebulae." Joana Serrat will be opening for The Delines at the Haunt, Brighton, on Wednesday 6th Frbruary 2019. CLICK HERE for tickets.